Japanese culture is permeating India, precipitating closer ties between the two countries. As Indian Prime Minister Narendra Modi’s long-awaited trip to Japan draws nigh, there are high hopes that Indo-Japanese economic and military cooperation will increase. Additionally, people-to-people ties between the people of Japan and India are very warm, and are on an upward trend. According to a poll published by the Pew Research Center last month, Japanese people view India the most favorably of the other major Asian countries, with 63 percent of Japanese having favorable views of India. Indians also view Japan more favorably than other Asian countries, with 43 percent having favorable views of Japan (and most of the rest having no opinion of Japan rather than an unfavorable opinion). Indians are generally becoming more interested in Japan as Japanese cultural influence begins to impact India. While Indians have not traditionally been influenced by any East Asian culture, there are signs of growing Japanese cultural influence in India. Traditionally, East Asian cultural influence has been low to almost none in South Asia. South Asia’s primary external cultural influences in the historical context have been largely from the Middle East and the West. The slow spread of Buddhism from South Asia to East Asia was largely one-way and was achieved through intermediaries in Central and Southeast Asia; there is no evidence of Confucian or Taoist influence in India. Due to a variety of historical and cultural reasons, very little East Asian influence permeated South Asia until the 19th century, though there was trade. Until this time, countries such as Korea and Japan barely registered on the Indian consciousness, if at all. In the present day, modern pop-culture trends seem to be stronger in some regions more than others. Bollywood and Indian culture are quite popular in the Middle East and Central Asia (in addition to the rest of South Asia) but have little impact in East Asia. On the other hand, Japanese pop (J-pop) and Korean pop (K-pop) have spread from their countries of origin in waves to captivate much of East and Southeast Asia. There has generally been little overlap between these two spheres of pop-culture. Since the 19th century, some East Asian influence has slowly penetrated India. Some of this comes in the form of Chinese cuisine, which has a distinctive Indian variant. Northeast India has also been influenced by Korea. As the ethnic and cultural makeup of northeastern India more closely resembles that of Southeast Asia than the rest of India, many northeast Indians prefer Korean movies over Bollywood – plus many militant groups in the region are hostile toward the release of Hindi movies. However, Japanese culture has influenced India more than any other East Asian culture. The reasons for this are complex. Indian intellectuals have admired Japan since the 19th century, when Japan successfully modernized; many saw Japan as a role-model. Leading Indian intellectuals such as the Nobel-laureate writer Rabindranath Tagore maintained extensive contacts with Japanese intellectuals. Modern India and Japan have little historical acrimony. As such, Japan is seen by many in India as a success story of the East Asian model that they can safely borrow from, unlike China, which has contentious relations with India. Contrary to the discourse of “civilizational ties” that sometimes underlies the Sino-Indian relationship, there is very little civilizational knowledge or interest in either India or China regarding each other. Beyond intellectual discourse, Japanese popular culture has begun to permeate India, especially amongst its urbanites and young people. Japanese culture has a reputation for being considered trendy and cool by young people throughout the world, a perception that the Japanese government is encouraging through its “Cool Japan” initiative. Video games and anime are popular Japanese exports among young populations throughout Asia and the United States. Therefore, it is no surprise that Indian youth looking for an alternative form of pop-culture that goes beyond Bollywood and Hollywood have developed an interest in Japanese culture. According to reports, manga, a Japanese comic art form, and anime have gained in popularity in India. Many young Indians form groups to discuss manga and cosplay (dress up as) characters. Many young Indians, who quite often get degrees in engineering, develop an interest in manga because it offers a cultural outlet for geeks. Mainstream Indian pop-culture and Bollywood generally do not cater to geeks or feature geeky themes. This has led to the exponential growth of interest in Japanese pop-culture in India, as well as the creation of Japanese themed groups and clubs. For example, the Mumbai Anime and Manga Fan Club has grown from a handful of members to 3,000 members in the past four years. Other similar clubs have grown up in Delhi and Bangalore. 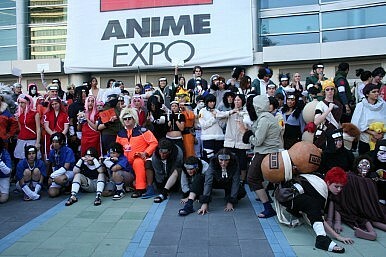 Additionally, events such as the Delhi comic-con, where fans of comics and Japanese culture gather, are very popular. Apparently, India’s interest in manga is widespread enough for there to be Hindi translations of several manga. This shows that Indian interest in this art form is not limited to just a small sub-culture of individuals with global exposure. Several native Indian comics influenced by manga have recently appeared, demonstrating that the Japanese art form has permeated Indian comic art. According to several anecdotal accounts, while manga and anime are growing in popularity in India, there is still a lot of room (and enormous potential) for growth. Their growth is nonetheless impressive, considering their low base line. This is something that the Japanese government ought to keep in mind as it looks for ways to promote Japanese culture and influence in India. Many Japanese companies believe that the Indian market is ripe for the manga and anime business. On the other hand, there is already big business in India for sushi. India’s nouveau-rich and rising middle classes see the consumption of sushi as a sign of prestige and culture. Due to the chic-factor, high-end sushi restaurants have opened up all over India, in all of its major cities, with dinner prices per person often reaching hundreds of dollars. It is also popular to import itamae (sushi masters) to prepare sushi in high-end Indian restaurants. From this niche culture, Japanese cuisine is gradually spreading to the average Indian, contrary to the belief of many culinary experts who believed that the Indian palate would not be able to handle so exotic a cuisine. However, young or up-and-coming Indians tend to defy stereotypes and demonstrate the interest and ability to try out new foods and be receptive to different cultures. India has long been interested in “Looking East,” as one of its government policies suggests. For India to truly look east, it helps to have a population that is interested in what lies to India’s east. Otherwise, military and economic initiatives, however reasonable and well-meaning, will often struggle due to apathy for the region. Growing Japanese cultural influence in India coupled with excellent political and economic ties is a good sign that Indians are starting to look east in the fullest sense. As fashion and social context evolves, could attitudes towards tattoos change in the country?